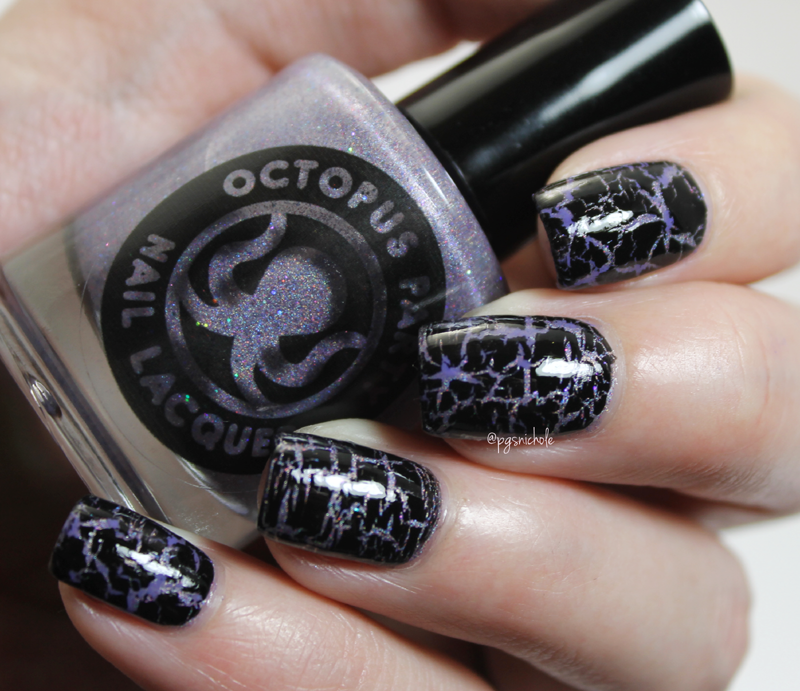 Crackle polish + holo sparkle madness. How can you get any better? That's right, you can't. Not even if you tried! This particular sparklebomb is from one of the OPNL duos for winter. (I swatched it as a backup, just in case, but my swatches were never used. I need to buy the duo though. I can't stand to have incomplete sets) If you haven't checked out these duos, you really should. There are some amazing polishes still available. 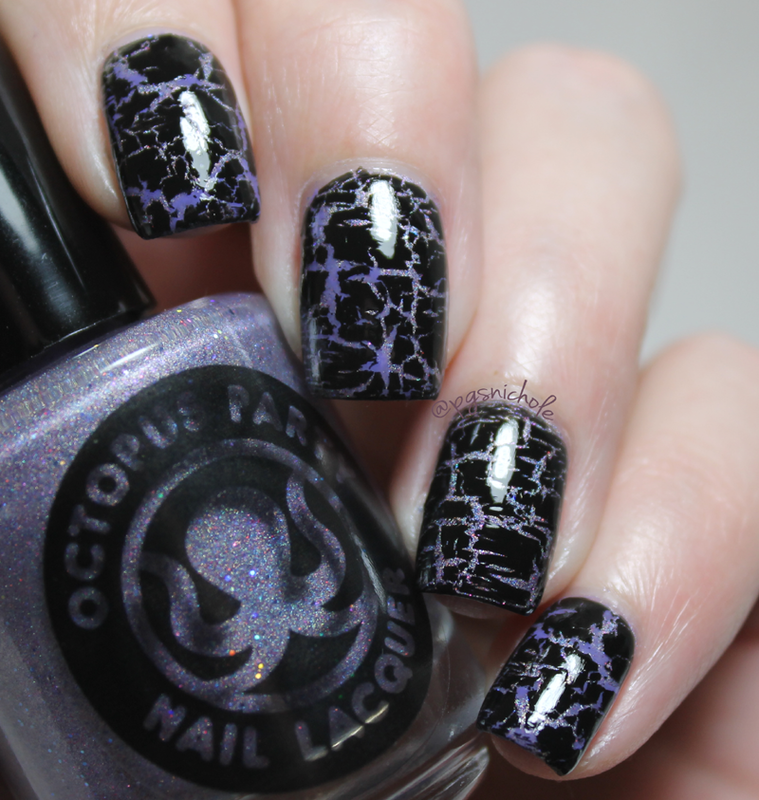 You may notice that this looks a wee bit different than your average crackle polish. I decided to try applying it horizontally rather than vertically...and I love it. I think my ring finger came out the best, but I think it is a really interesting look. 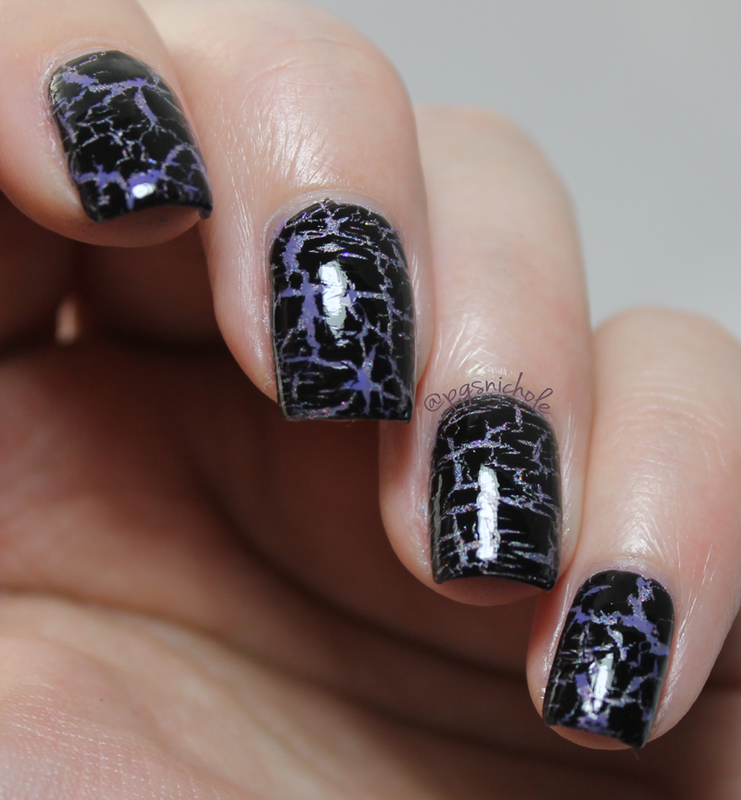 I might be biased though, as I do love the crackles. Have you grabbed any of the duos yet? I need to win the lottery so I can buy them all...and a house to store them in. Because polish needs storage...right? I just ordered my first OPNL, excited to get this. 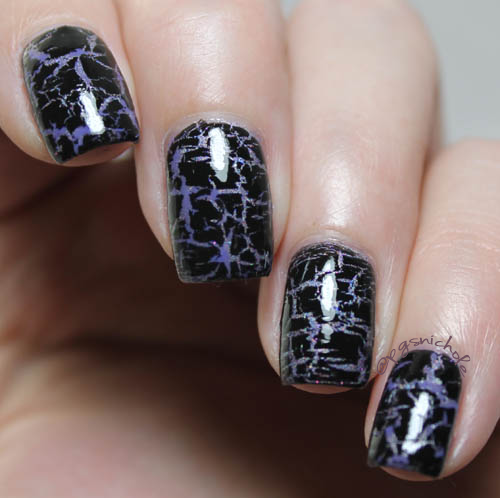 I never thought about a different application of crackle, it turned out great.